Welcome to all of you who have clicked on over from Farmer Liz's! For those who don't know what I'm talking about, I did an interview with Liz about Warré beekeeping on her Eight Acres blog. If you aren't familiar with Liz's blog, please visit and you will undoubtedly become a regular reader. Click here for my Warré post. What you'll find here are links to more details on my own Warré experience, plus a list of resources for Warré, top bar, and natural beekeeping. My First Beehive - includes photos of the various parts of the Warré hive. Index to David Heaf's Warré Beekeeping Pages - scroll to the bottom of the page for extensive link lists. David is what you might call the father of the modern Warré beekeeping movement. Less Invasive Beekeeping by Sam Comfort. Why top bar hived bees are healthier for the bees and the environment. Plans for Constructing a Warré Hive at Warré Beekeeping. Top Bar Beekeeping by Michael Bush. Plans for both Kenyan and Tanzanian hives, plus an excellent FAQs section. How To Build A Top Bar Hive. 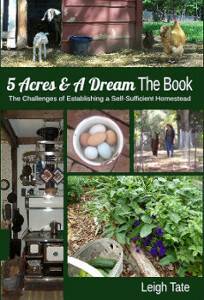 Free eBook with plans for a horzontal top bar hive by The Barefoot Beekeeper. Warré Hive Construction Guide step-by-step photos and instructions at The Bee Space. Beekeeping for All by Abbé Warré. The original source book for Warré beekeeping. Paperback copies can be purchased at Amazon, or it can be read online for free here. Natural Beekeeping with the Warre Hive: A Manual by David Heaf. Includes hive plans. At the Hive Entrance by H. Storch. If natural beekeeping is less invasive, then how does the beekeeper know what's going on without opening the hive? The author maintains that the condition of the colony can be ascertained by observing activity at the hive entrance. The book contains about 60 pages of seasonal observations and their explanations. Besides the paperback, it is available as a free PDF download here. The Bee-friendly Beekeeper by David Heaf. I confess I haven't read this because it is a bit expensive to buy, but I would love to. David knows what he's talking about. Top-Bar Beekeeping: Organic Practices for Honeybee Health by Les Crowder and Heather Harrell. This is another book I have not read but certainly plan to. Natural Beekeeping: Organic Approaches to Modern Apiculture by Ross Conrad. This is not specifically about Warré or top bar hives, but it is an excellent read for anyone interested in natural beekeeping methods. The Complete Idiot's Guide to Beekeeping by Dean Stiglitz and Laurie Herboldsheimer. Promotes treatment-free beekeeping. Keeping Bees with a Smile: A Vision and Practice of Natural Apiculture by Fedor Lazutin. This book was recently recommended to me by a fellow beekeeper and blog reader (thanks Ron!) In addition to natural beekeeping techniques, it discusses the Lazutin horizontal hive which uses frames. Follow the link for more information on the book (including excerpts) and other great information. The Best Beehive? at beethinking. A comparison of Top Bar, Warré, and Langstroth hives. ResistentBees.com promotes hygienic behavior of bees, small cells, and no chemicals. Numerous technical articles on these subjects can be found here. warrebeekeeping at Yahoo Groups. Moderated by David Heaf. While this group focuses on Warré hives and methods, there are frequent technical discussions about bees and beekeeping in general. Honey Bee Healthy Recipe for those essential oils at The Wasatch Beekeepers Association website. I LOVE SWARMS: The Complete Guide to Attracting Honeybees by Dr. Leo Sharashkin. How to get free bees! Dr. Sharashkin is the editor of Keeping Bees with a Smile. His website is worth a look around and includes free plans for various horizontal hives and swarm traps. Warré Type Bait Hive for trapping swarms, by David Heaf. Plants That Bees Love at Honey Bee Suite. Downloadable region specific lists of nectary plants for honeybees. Offers US, Canadian, and International lists. Identifying pollen by color at Wikipedia. Nice color charts by season. How to make a hornet/wasp trap. Another of my blog posts. Fortunately, we didn't have a problem. Hive lift plans for the Warré hive. Another of David Heaf's links for those of us who can use some help hoisting those hive boxes! If you have any questions I'll be happy to answer them if I can. If I can't, I'll try to point you in the direction of finding more information. I am loving having bees on my property. Beekeeper P, who owns them, is so kind. He brought over some queen cells that he had collected from the hives he owns all over. I have video of my daughter holding the queen cell and having her emerge out into my daughter's hand. Not many 9 year olds get to do that. We are absolutely in love with bees! Bees are addictive to some of us!!! My philosophy on survival bee keeping is different from yours so I will just leave it at that but I will point out one observation I have made over the years. I have yet to see a feral hive of bees in a hollow space that was horizontal. At best I have seen a few that angled in a hollow limb but by far most are completely vertical and build whichever way (up or down) depending on the entrance placement. Typically when a hollow tree is horizontal it's fallen over and no longer prime feral hive space. Good point, PP, and I think that's one reason why I always leaned toward the Warré hive. To me it does seem a naturally comfortable space for bees. I suppose the closest thing feral bees come to horizontal is when they find their way under the eaves of someone's home and go from there. Beth, I hope these are useful. There's a lot of good information out there. I have removed a few hives from homes but all of them were in the walls between the studs and therefore vertical by necessity. There was one feral hive in an attic of a public housing building that went upwards at an angle but I declined to remove it due to insurance issues. The studs usually mean the bees build vertical too. It may just be my location though as bee keeping seems to be mostly a regional thing as to what the bees like but I have never seen a horizontal hive naturally occurring. Great information Leigh. Thanks for sharing! Again, that's an excellent observation. I suppose all systems make concessions for the beekeeper, and we choose what we think will best meets our needs. It would be interesting as to the regional idea. I know when Liz asked me to do the guest post, she was specifically interested in Warré beehives, but also mentioned that she chose the Langstroth because that's what beekeepers in her area use, and they wanted resources for help if needed. That's a valid concern, which probably lends itself to regional systems. Deb are bees on your list of future goals? Well the deciding factor for me was ultimately how much work and resources the bees put into comb and building comb. This is more evidence of the regional aspect though too as comb production becomes much more of an issue the further North one goes. Bees seem to be so adaptable and willing to make whatever cavity they are given work as wasn't much interested in what others thought in my area as much as I was maximizing the bees resources and work. That meant harvesting the honey and returning as much comb back to them. That's not possible with top bar type hives. Thanks, Leigh. There is a lot of good stuff here. Bees are still on my to-do list, and I'll be back rummaging through your archives when that day finally comes. I read that about the wax building versus honey production when I first started researching. Then I read the "other" side that claimed it wasn't true, LOL. Can't say I took anyone's word for it, but I was wanting wax anyway so it didn't really matter. A very informative post Leigh. I really enjoyed reading about Warre hives that I knew nothing about previously as we have the Langstroth hives on our farm here in South Australia. Great blog too, which I'll be spending much more time looking at. :) Sally from Jembella Farm. Sally, hello and welcome! I've just taken a quick look at your blog but am finding lots of good things there! Thank you so much for commenting. I look forward to getting to know you better. It's a good situation for both you and the beekeeper! The fact that the bees do not build just one sheet of comb down the side of a Warre hive proves that they will build horizontally as well. The queen prefers to not lay eggs in comb that has already hatched brood (dark comb). The darkness comes from the shell of the cocoon that sticks to the wax comb. So down and out it is until the hive space is full. The dark comb is reserved for honey storage unless the queen has no other place to lay eggs. If enough cocoon shells build up in a comb, the size of the developing bee is restricted and hive health suffers. Plus, the cocoon skins are a place for pestilence to gain a foothold in your hive. The next observation is that below 43 deg F, a bee cannot independently revive itself from a torpid state and will soon die. They cannot move around independently much below 57 deg F. That means that the colony cannot move from comb to comb when the temperature of the hive gets below 57 deg F. At this point, they can only move up into their stores of honey to get enough energy to keep warm. They burn through about a millimeter of honey a day. A horizontal tree trunk or a Kenyan Top Bar Hive just isn't going to cut it over much of the United States. The bees know it and now all of you do too. I cannot praise Fedor Lazutin's book enough. Just one word of caution though. He kept European Dark Bees which are not available here in the USA. They need a bigger hive than what our bees can handle. The hive he builds needs to be scaled down a bit. Think Layens hive. Kind of like the discussion between the Dadant-Langstroth vs Warre hives. The strike against the Dadant-Langstroth hives besides their size is that the top bar is about an inch thick and the bottom bar of the frame above is about 1/4 to 3/8 Inch plus a bee space so there is at least a one and a half inch interruption in the winter stores vs maybe a half inch in the Warre. The bees can jump the gap easier in a Warre hive. The strike against the Warre is that it was developed in a place where the necter flow is slow and steady over the summer. The bees have enough time to hatch and build down before the room is needed for storing honey. In the north you get a spring flow to build up on but from June 21st to mid July is when the main nectar flow is and you only get a few weeks to store up enough honey for the next 9 months plus come up with the rent money to the beekeeper for the use of his hive. The Warre will work for me if I nader it in the spring and then super it just before the main flow. Not ideal because I am still opening the hive. Hence I am thinking a horizontal hive like the Layens hive with a top bar cover cloth like the Warre is more ideal for my area. Beekeeping is like gardening. You have to understand the climate you live in and learn to deal with it. Just because something works in one part of the world doesn't meant that it will work for your part of the world. I am grateful to Leigh for posting on the Warre hive last spring. I have been keeping bees for several years, but the results were very discouraging. I needed a nudge to start thinking about other beehive styles. I had built a Kenyan Top Bar Hive and quickly concluded that it was junk for my part of the world. 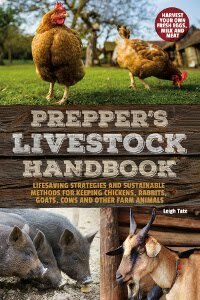 I almost didn't buy Lazutin's book when I learned that he used a horizontal hive. I was intrigued to learn that he lived in a similar climate as I do so I bit. No regrets! Honeybee behavior is pretty much the same the world around and Lazutin explains it clearly enough that with his book and the resources Leigh gives here, you should be able to keep bees successfully where you live. Ron, thank you for joining in the conversation. I appreciate you experienced beekeepers, because even though I blog about it, I'm still very much a novice, just going into my first winter with honeybees. Your comment pretty much confirmed to me that for my part of the country, the Warré is a good choice for me.